Since 2003, Maggie has worked closely with clients and families to help ease their transition, as well as provide ongoing support to their needs over time. Her trustworthy and genuine style have enhanced our ability to serve clients in more meaningful ways. 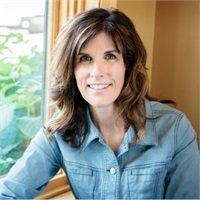 Her professional background prior to working at Lee Stoerzinger, Inc. entailed promoting services at a start up company, fundraising for a large non-profit, and marketing for various companies. Maggie and her husband, Lee, have two children, Geraldine and Evan. In her free time, she enjoys the outdoors, especially hiking and snowshoeing. She also enjoys cooking, nutrition, and spending time with the family.